First of all, sift the powdered sugar, then mix the sugar with the almond flour in a large bowl. After that, add the grated zests of half lemon and half orange into the bowl, 3 drops of vanilla extract. 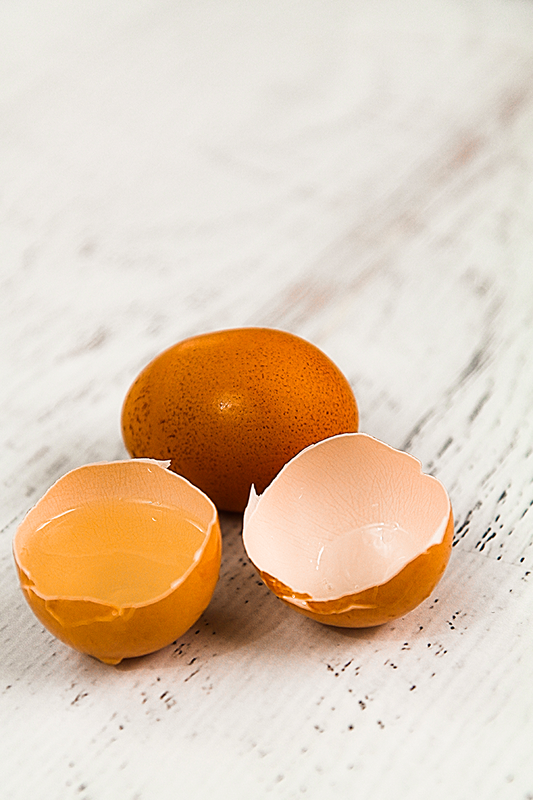 Finally, mix all the ingredients with the whites of 3 large eggs lightly beaten. Work the dough until it is compact and homogeneous, then pour it into a pastry bag provided with a large decorating tip. Place the pastry bag into the refrigerator 20 minutes. Line a baking pan with parchment paper. 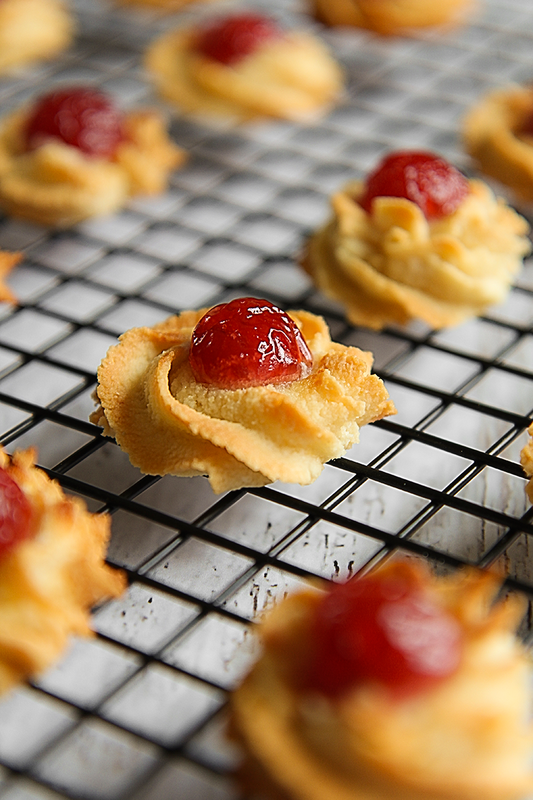 With the pastry bag, form cookies about 2 inches wide right on the parchment paper, add half Maraschino Cherry on the top of each cookie then put the drip pan in the fridge for at least 8 hours (it’s easy to prepare the almond cookies the night before for the following day!). The rest in the fridge is critical because the cookies don’t sag while cooking. When the almond cookies are ready to be cooked, set the oven to 350° F and bake the cookies by taking them directly from the fridge. Bake the cookies 10-15 minutes, turning the dripping pan halfway through cooking, until they are golden brown. Finally, operate the broil a few minutes, until the cookies are golden! The almond cookies should be crispy outside and soft inside. 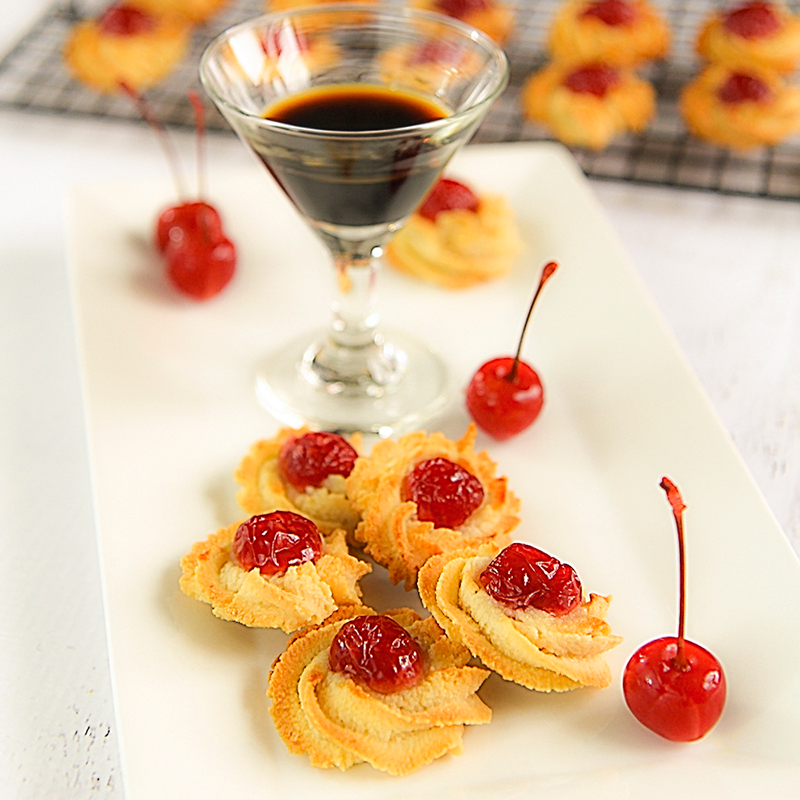 Serve the almond cookies with a good tea, coffee or a glass of Italian Marsala wine. The almond cookies are "a must" of the Sicilian culinary tradition. 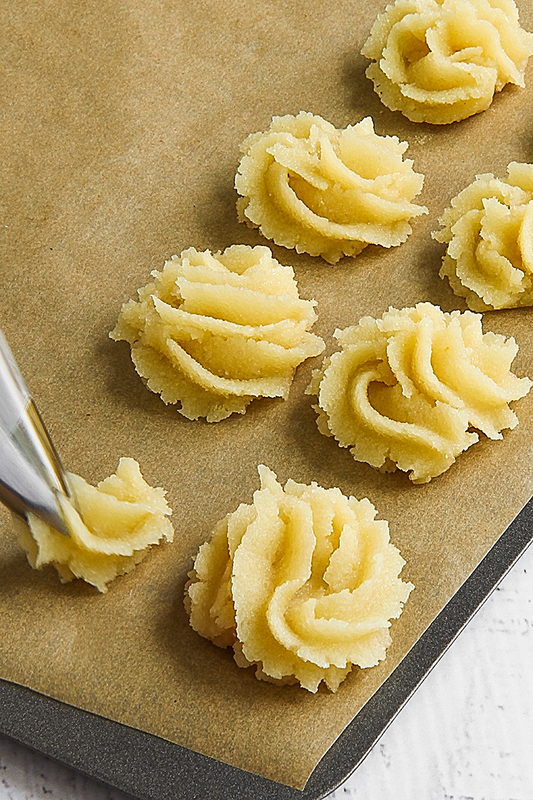 They are prepared with the Almond paste, called "pasta reale" in Sicily (King's paste). 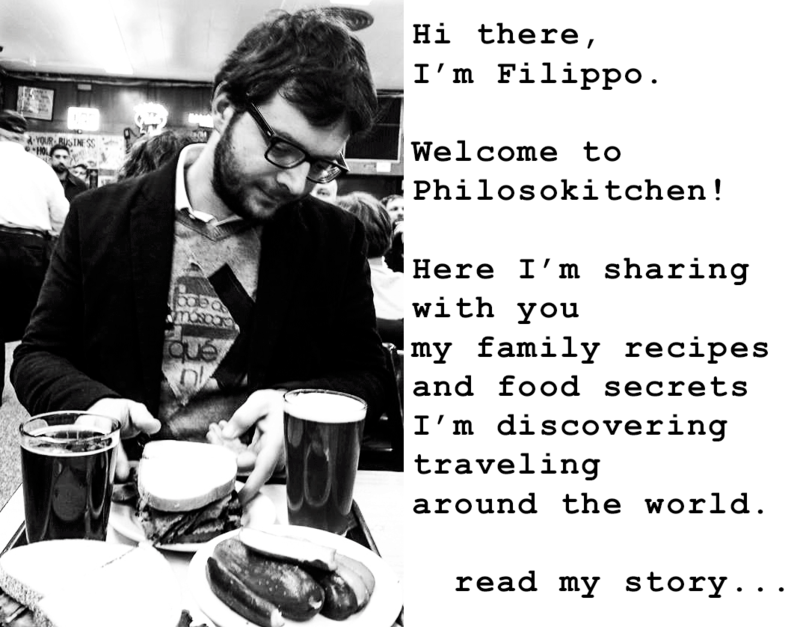 The legend wants that the recipe was created in the XII century in the convent of the "Martorana" in Palermo and that his name is due to his goodness (worthy of a King!). These delicious cookies are as good as easy to do! 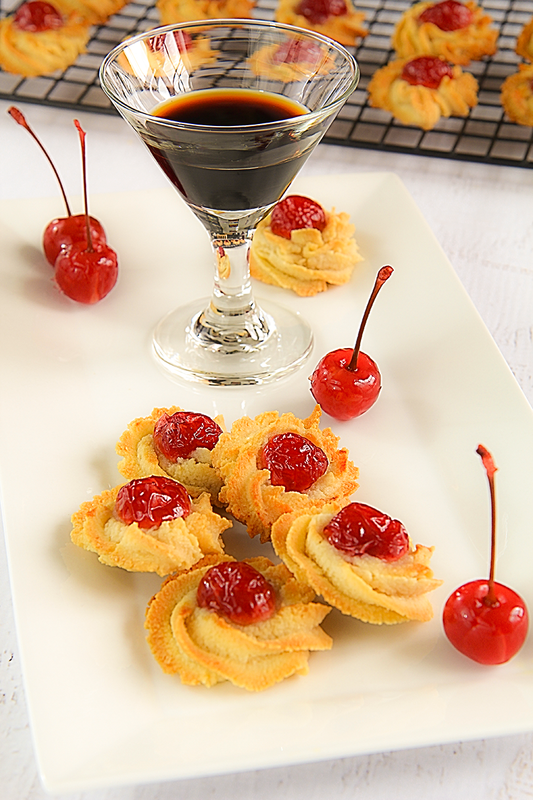 Accompany them with a good tea, coffee or a glass of Marsala, the typical Sicilian sweet wine. Line a drip pan with parchment paper. 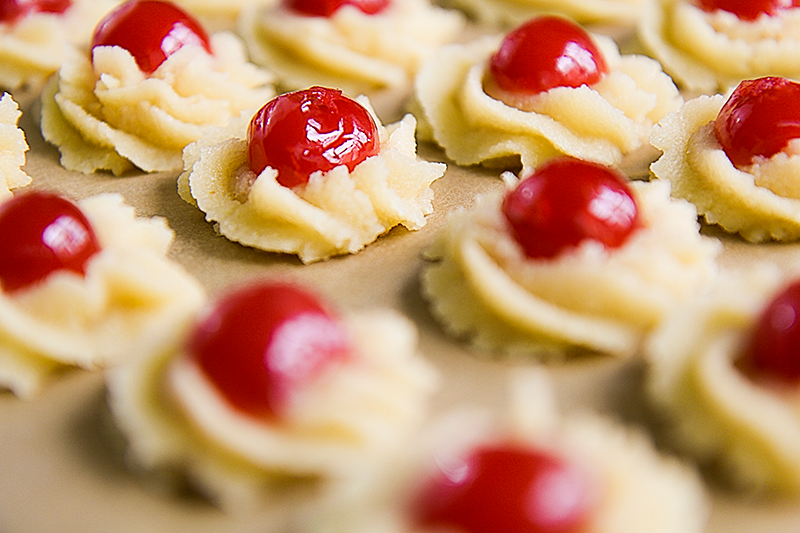 With the pastry bag, form cookies about 2 inches wide right on the parchment paper, add half Maraschino Cherry on the top of each cookie then put the drip pan in the fridge for at least 8 hours (it’s easy to prepare the almond cookies the night before for the following day!). The rest in the fridge is critical because the cookies don’t sag while cooking. ALMOND COOKIES INTO THE OVEN! Hi Sharon, I’m sorry for that! Where they flat before or after baked? If they were flat before baking, probably the drought was not firm enough: try to add a little more almonds flour and let me know. Remember: they need the rest into the fridge and baked immediately after the rest. Love Love Love these cookies!!!! I work at an Italian bakery while attending high school and these were my very favorite! At Christmas time I switched favorites to Pinyolate( phonetic spelling). They were little balls of sweet dough, stacked atop one another, they were dipped in a honey syrup. I guess they are also known as strufoli. Loved working there. Very good people. We became like family. Thanks, I love Struffoli too! I want to publish the recipe as soon as possible! What tip did you use? They look delicious! What tip on the pastry bag ? It is the extra large open star. Is it Almond flour or Almond paste? Your post has conflicting terms. Hi Lucille, thanks for your comment! 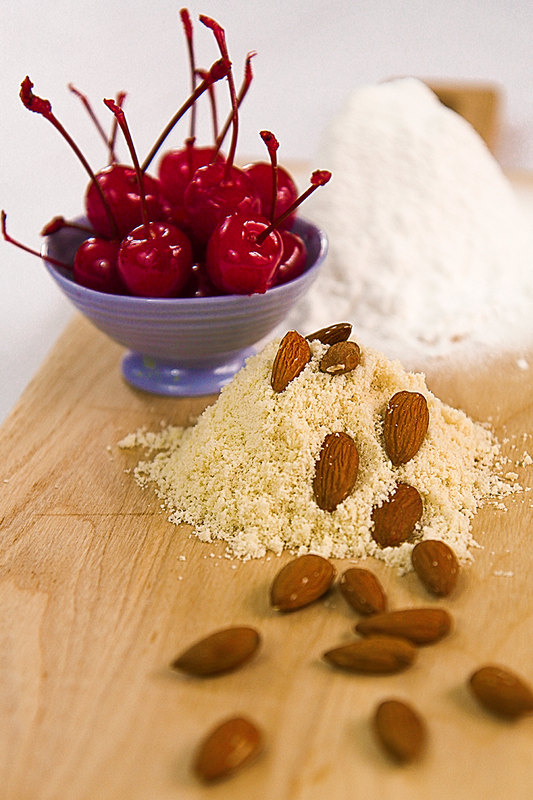 The almond flour is one of the ingredients used to prepare the almond paste. In this recipe, I describe the process to make the almond paste cookies starting from the flour. I just found this recipe, we all love almond paste cookies. I’m confused though, the earlier part of your description says almond flour, then the inside printed recipe says paste,then the “print recipe” states almond flavor? Do you mean almond flour? Also, is there any almond extract in the mix? If it’s almond paste, how many ounces for the batch? usually the “bakery style” Italian almond horns or cookies have paste. Well, I’ll wait to hear before I waste the ingredients. Actually “flavor” is a typo, I’m sorry about that. The dough is made with almond flour, whites, sugar, orange and lemon grated skins, and vanilla extract. I often do these cookies for my friends, and sometimes I replace the vanilla extract with anise extract: delicious as well! Just wondering does the lightly beaten egg whites refer to a soft peak or egg whites that just begin to foam? Just don’t want to stuff it up! Beat the whites with a fork until they are smooth and clear with a little foam, but still liquid, with a density that permits to incorporate the almond flour easily. Thanks for answering that question (and thanks for asking it, Gen)–I was wondering the same thing!! Hi I would like the recipe for the amaretti biscuits please. I don’t understand this recipe. The comments says it uses almond paste but only almond flour is in the ingredients. What am I missing? The almond paste is composed by the mixture of almond flour, sugar and whites. The process is described in the step “PREPARE THE DOUGH”: I just renamed this paragraph into “PREPARE THE ALMOND PASTE” to be more clear. Can you clarify what a drip pan is? You can try to lower the temperature of your fridge and try to bake a couple of cookies after a few hours and see if these mantain their shape. I never tried to store them in the freezer, but I imagine they could stay in just a few minutes, and bake them before they froze. I was wondering how.many cookies this recipe makes. Also which tip did you use to pipe the cookies? You can make about 20 cookies depending on the size you prefer. Commonly I use a star tip or a close-star tip. Thanks!!!! Can’t wait to try them. Do they freeze well? I never tried to freeze the cookies or the dough, but I thinks they would become too mushy. Hi Tony, thanks for commenting! To prepare this cookies, I used a 1M open star tip. Almond flour is simply made from ground sweet almonds. You can make homemade or simply buy at the grocery or online. Hi would it be possible to use store baught egg whites ? & if so Do you think 3/4 cup would do it ? Do you actually use the TOP broiler after you bake them? I’m going to try these. Can these be made in advance and how do you store them once made? Air tight container on the countertop or do they need to be refrigerated? Yes, you can store them into an air tight container up to 5 to 7 days, depending on the evironmental conditions. Great recipe, easy to follow and has a taste that reminds me of Palermo! Thanks for your words Victoria! 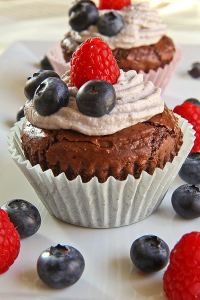 These are easy to make and very delicious. Great recipe!!! I will be looking for more!! Thanks so much!! Gracias por compartir recetas, me gusta todo lo relacionado con la repostería. Me encantan las recetas con almendras. When you put the dough in the fridge for 8 hrs before you put it in the oven, do you cover them? The cookies look so delicious! If you prefer, just cover them with a piece of wax or parchment paper. Can you use almond paste instead of almond flour? I’ve never heard of these made with almond flour. Usually it is almond paste, confectionary sugar and egg whites. Yes, you can. In the first part of my recipe is basically described how to make homemade almond paste. I prefer starting from almond flour because it’s not difficult and I have the complete control of the ingredients. I want to make it for my Italian family! Can these be rolled into small balls and make a thumbprint to put the cherry into ? Making balls with this dough, it is not so easy. The pastry bag is ever the best option, but if you have not, try to shape the cookies with the help of a spoon. Can I substitute the powder sugar with honey or maple? In theory you can, but I never tried. Certainly, You need to modify the amount of almond flour to obtain the right density. Sicilia, i siciliani sono bravissimi cucinando. Tnx for sharing this delicious recipe. I have a question for you, could we add some butter? What is almond flour and where to get it? Won’t know how to rate it until I make them! Just looking to use up almond flour and maraschino cherries. These some of my favorite family cookies too!